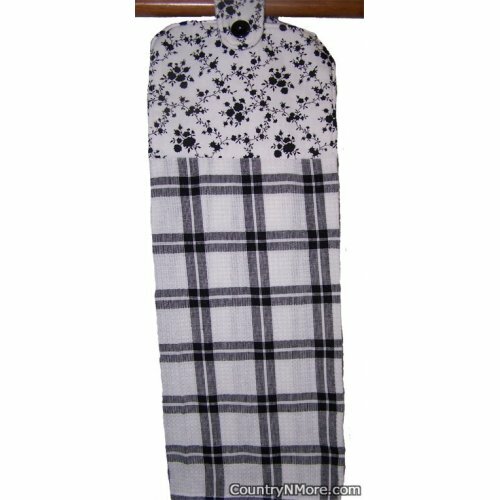 The towel is made from a nice weight cotton fabric, which has thin black plaid stripes. The top part of this oven door towel is made from a black floral print. We use full length towels folded in half for our oven door towels.